La Casa Mandarina AC, Violence Intervention Program, Inc (VIP), Feminismo Consciente and Juan Ortiz brought the Monument Quilt to the US/Mexico border for this historic display. 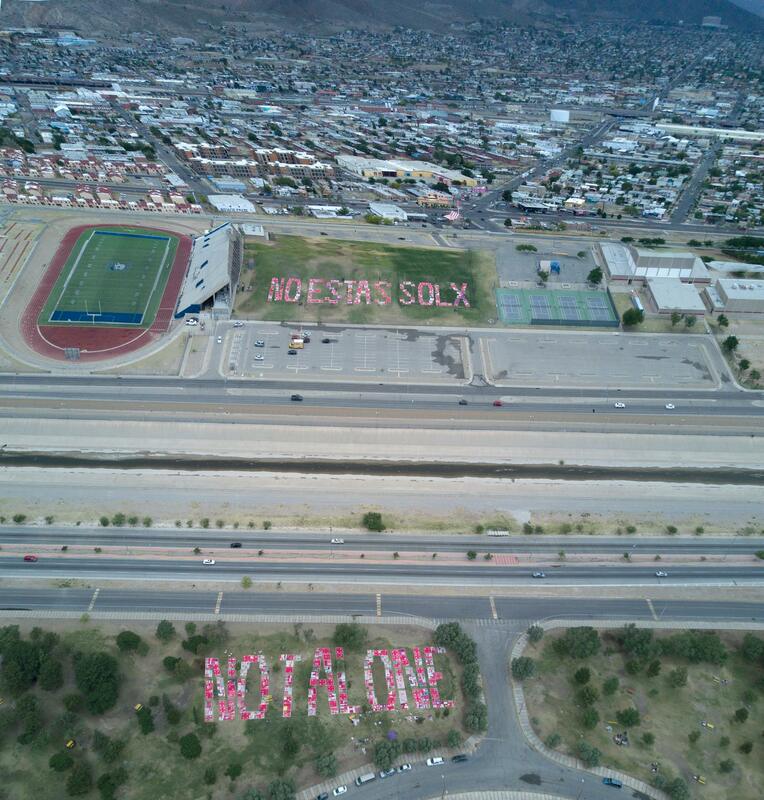 On Trump's 100th day in office, as survivors, we banded together to stand against xenophobia and racism by blanketing both sides of the border with the statement "Not Alone" and "No Estás Solx,"made out of stories from survivors from across the US and Mexico. Additional programming and partnerships throughout the week included Center Against Sexual & Family Violence, UTEP - The University of Texas at El Paso and ICSA - UACJ Oficial — at Parque El Chamizal.